Want to know how to treat a tennis elbow? Then you’ve found the right article. This is going to be a complete guide on everything that has to do with treating a tennis elbow. There are literally dozens of treatments out there. For example, with a counterforce brace, tennis elbow appears to benefit. But does a counterforce brace for tennis elbow actually work? Does it work for everybody? Would you be surprised that a tennis elbow counterforce brace only works for a certain type of tennis elbow? If you don’t have this type, the elbow strap for tennis elbow can be useless. The same goes for treatments such as massage, therapy and tennis elbow release. For elbow pain specifically related to tennis elbow, I tried to put all the information you need in one article. That’s why we have a table of contents. Simply click on any of the links in the table of contents and you’ll be quickly taken to the section you’re looking for. Section 1: What Exactly Is Tennis Elbow? If there is no inflammation, then what causes my elbow to swell? Can I Predict If My Tennis Elbow Will Get Better? Peering Into the Medical Crystal Ball. When Is A Tennis Elbow Something More Serious? Or Just Not Tennis Elbow? Can an Ultrasound or MRI show me how bad my elbow tendon pain is? Should I see a Chiropractor Or Physical Therapist for My Tennis Elbow? Neck Manipulation: What Does The Neck Have To Do With My Tennis Elbow? Do Physical Modalities Like Ultrasound, Laser and Shockwave Work? Should I Use Ice or Heat For Tennis Elbow? Do Braces & Taping Work For Tennis Elbow? Exercise For Tennis Elbow - A Match Made In Heaven? What's The Research Behind Exercise For Tennis Elbow? Is Stretching Good For Tennis Elbow? Can You Predict That You May Need Surgery? How common are complications with tennis elbow surgery? In this section, you’ll get the best explanation on what tennis elbow really is. With this information, you’re going to know exactly why certain treatments will help while others won’t for your specific condition. Do treatments actually work? Will an MRI help? Can I find out whether I’m at risk of getting chronic pain from tennis elbow? In this section, we uncover a lot of the misinformation regarding treatments and diagnostic tests. Not only are you going to get step by step strategies, you’ll be more educated on what works and what doesn’t. This sort of information appears to be missing from a lot of different sites. So let’s get started. Tennis elbow can be painful, and frustrating. You may be getting pain from simply picking up a coffee cup, or brushing your teeth. You may have started having pain from playing golf or tennis. For some of you, it may have started quickly. You can’t bear the pain and need to do something about it today. For others, it’s always been there as a slight ache. But over the years, the pain is becoming unbearable. You finally decided to do some of your own research on how to treat it. You may already have tried treatments, like a band for tennis elbow. That tennis elbow support strap may have worked temporarily, but now the pain has gotten worse. Before we get into the treatments, go through the next section. If you’re someone with tennis elbow pain not going away, everything will make more sense when you know exactly what tennis elbow is and why it occurs. Have you ever read through information and had more questions than answers by the time you’re done? This section is a must - read. By the time you finish it, everything else we talk about, including what treatments work (like those elbow straps for tennis elbow), why some treatments may not work for you, and exactly why you should be doing certain treatments (whether it’s exercise or tennis elbow straps), will become much more clear. This is the section that’s often missing in most explanations of tennis elbow. Using the tennis elbow bands as an example, some use it but have no idea if they will actually see any benefit. This is so important that I put it in the beginning of this article. If there’s only one section to read, it would be this! It will go a long way in not only understanding what treatments will help, but also ways in preventing tennis elbow from coming back. So you got tennis elbow. One friend or therapist tells you that you should use an elbow brace for tennis elbow. Another tells you to take anti - inflammatories. Or you may have already tried braces and found that the tennis elbow strap placement was wrong all along. Or you’ve taken anti inflammatories and it hasn’t made any difference. The answer is simple. Tennis elbow isn’t ONE specific thing. In order to learn how to stop tennis elbow getting worse, you have to understand that a ‘cookbook’ approach to treatment often fails. There are different ‘stages’ to getting tennis elbow. And these stages may determine which treatments are going to be best for you. It could be a tennis elbow support brace, or exercises to prevent tennis elbow. When I read about these stages in medical journals, it’s enough to give me a headache, so I’ll save you from all the mumbo jumbo. First, the video below provides an excellent summary of what exactly is a tennis elbow. You'll learn about the different stages. Below the video, I'm going to give you real world examples of 3 patients that seem to have the same pain, but are in different stages. First we have Mary. Mary plays basketball on her University team. The other day, Mary fell and hit her elbow against the floor. Now, she’s got pain in her elbow and was diagnosed with tennis elbow. Her trainer told her to get a tennis elbow treatment brace. She thought it was mostly a product that shows you how to prevent tennis elbow instead of actually treat it. That’s when she decided to see me. Someone like Mary has never had elbow pain before. She’s most likely got what we call ‘Reactive Tendinopathy’. It’s just a big fancy word for something that happened recently. This can happen to you if you began overusing your arms. For example, you might have started a new job where you increase the amount of typing you are doing. This may put a new overload on your tendon. You may have started to play a new sport and not realize you’re putting a lot more stress on your elbow. Like Mary, you may go out and get tennis elbow supports. So how does the elbow respond? In medical terms, they say that in the short term, the body responds by thickening and stiffening the area. Your body is smarter than we give it credit for! This is its reaction to coping with all the increased loads or recent trauma. The tendon can go back to normal if overload is reduced or there is enough time given between the stresses to rest. If there’s one way to learn how to heal tennis elbow fast, this would be it, but only for the ‘reactive’ type of tennis elbow. Just knowing these 2 key points will help you now understand what sort of treatments are effective at this stage. If you are in the ‘reactive tendinopathy’ stage of tennis elbow, ‘cure it fast’ means modifying your job may be a good thing to do. Anything you can do to reduce the load and stress is helpful. Started a new sport? Maybe its time to do less with your arms until you begin to feel better. Maybe a brace can help to reduce the stresses. When Mary went ahead and got a new brace, she was on the right track to learn how to cure tennis elbow fast. Only problem is that she continued doing the things that caused the injury. Maybe some icing can help to reduce some pain. What may not work? Jumping into a strengthening exercise program may make it worse. To cure tennis elbow fast at this stage, some rest (not all) is required to help reduce the stress on the elbow. If so, you’ll be able to answer the question on whether that specific treatment will be beneficial to you. Finding the right treatments for this stage can really work on how to cure tennis elbow quickly. Pick the wrong treatment, and you may continue making things worse. That’s a great question. There’s a lot of smart researchers that have done some detailed studies on what things make up the tendon. One of the more common explanations is that it’s the movement of water into the tendon matrix. (ref.) That sometimes explain the swelling that you’re seeing. Now let’s take a look at Bob. Bob has had some elbow pain for years, but not so bad that he’s needed any treatments. If he did get some aches and pains, he went ahead and used elbow braces for tennis elbow. He found it wasn’t helpful. Bob also had previous golfers elbow surgery on is opposite arm. But this hasn’t bothered him in years. Bob works on an automotive assembly line. He spends a lot of time using tools with his hands. He’s got a good job. He gets frequent breaks and the company also makes sure that his work station is ergonomically correct. However, Bob is now finding that his elbow pain is getting worse and worse over the last few months. The band it tennis elbow brace isn’t helping. He hasn’t changed any part of his job. He hasn’t started any new hobbies or sports. Using a tennis elbow ice pack provides relief only when he has the ice on his arm. In Bob’s case, the stage he’s most likely in is called ‘Degenerative Tendinopathy’. His tendon has been slowly ‘degenerating’ over time. The problem is more chronic and hence there are changes that have occurred on the cellular level. In Bob’s case, telling him to ‘rest until it gets better’ may not be the right advice. The band it tennis elbow brace is probably not the right thing for him at this time. He’s like an out of shape athlete, kind of like Rocky in one of the movies. The goal is to get him back into shape. In this case, exercises are going to be helpful. Bob may even feel some discomfort and pain with his exercises. It doesn’t matter because over time, the goal is to make his elbow stronger. Bob came with the hopes of learning how to treat tennis elbow fast. But for this stage, it will take several weeks, and aggressive treatments may help here. For example, deep friction massage may also be helpful in addition to the exercises. Instead of a tennis elbow support band that limits his movements, the goal is to produce more movement within pain tolerance. Note: With aggressive treatment, Bob was able to get back to full strength and pain free within 6 weeks. Treatments were, in his words, ‘not pleasant.’ He even decided to start playing tennis after he asked advice on the best tennis racket for tennis elbow. That’s how much of a difference the treatments have made. If there are different stages, then treatment should be simple right? Actually, this is where it gets a little tricky. To show how challenging it can get to find the right treatment, let’s take a look at John. He works with Bob but also decides to follow Bob’s new hobby by learning to play tennis. He gets an elbow strap right away, thinking it’s going to help. On the weekends, he starts taking lessons and really enjoys it. John is also slightly competitive by nature, so he tends to do more than anyone else. He figures the more he trains, the faster he’s going to get better. Unfortunately, John also has had some elbow pain similar to Bob over the years. This time, his elbow pain gets much worse after 3 weeks of learning to play tennis. Ice for tennis elbow isn’t helping. So the question is, would you say John is a ‘reactive’ or ‘degenerative’ tendinopathy? You see, you may have ‘degenerative tendinopathy’ building up over the years. All of a sudden you start a new activity and provide more load on your elbow. Your increased elbow pain may have more to do with reactive tendinopathy than the degenerative one. That means John’s treatment should focus more on modifying and reducing his tennis lesson times if he wants to know how to heal tennis elbow quickly. He may need to modify his swing. His doctor may recommend tennis elbow pain relief medication, but he needs to know it’s only a short-term solution. He may need to continue using his brace in the beginning. In the end of the day, John’s tennis lessons may need to be put on hold for a bit until his tennis elbow pain gets better. Once that happens, John should now begin a strengthening program for his elbow, which can be part of home treatment for tennis elbow (we are now addressing degenerative tendinopathy). Over time, John is going to feel better and will go back to his tennis lessons, but at a more slower pace while continuing to do his exercises. In all three cases, their pain can be the same. If you didn’t know about the stages of tennis elbow, you may never have known that they require three totally different treatment strategies. For a tennis elbow not healing, the stage of your condition may be different than the treatments you’re doing. If you keep this in mind as a test for tennis elbow, you’ll begin to understand what you need to do, what will work, and what may make things worse. For reactive tendonitis, bracing, activity modification and some rest will help. For degenerative tendonitis, elbow exercise and deep friction massage may be more beneficial. Now that you’re armed with knowledge that even some therapists might not know, let’s continue moving forward and find what’s going to help you the most! The best advice is always to learn how to avoid tennis elbow. But if you get it, should you get yourself treated? Before we get into what type of treatments may be helpful, would it surprise you that MOST people with tennis elbow will get better without any treatments whatsoever, whether it’s a brace, tennis elbow pain relief exercises, tennis elbow cream, or a simple stretch for tennis elbow? However, we need to be careful on how we interpret these results. Note: I forgot to mention that when we mention tennis elbow, you don’t have to actually be playing tennis to get it! That’s why we’re not focusing on finding the best racket for tennis elbow, etc. Majority of cases involve people that are involved in repetitive physical activities in work or sports. Learning how to get the best tennis racquets for tennis elbow will be saved for another article. So what about if you actually DID get treatments? Would that help? Research is a bit pessimistic on this also. The point I want to stress is that there really is no ONE type of treatment that will help. In my experience, some patients almost had a ‘miracle cure’ from one simple exercise on how to treat tennis elbow at home, while others found it useless. Some get instant relief with a lateral epicondylitis strap, while others don’t get any relief whatsoever. Some swear by elbow physical therapy exercises. Others hate it. So if you’re confused with all the different types of treatments that everyone is recommending, or that you’re reading, don’t be. The real reason for the confusion is that everything works, but nothing works all the time. The therapists or doctors you end up seeing may not be experienced in all the different treatments. Some only recommend a tennis elbow brace, tendonitis just gets worse. Some are great at exercise, but lousy at joint manipulation. Others feel that their ‘special technique’ or special elbow braces for tendonitis is all you need, when in fact something else may have been more helpful. It’s not just the therapists that have a tendency to fall into their comfort zone. They may get great results with shoulders by using a specific technique or the elbow brace for tendonitis. The only problem is, they may come to believe that this elbow therapy treats all conditions the same. If all you have is a hammer (example: epicondylitis band) to drive in a nail, you’re going to keep using a hammer, even if there are other tools out there that can do a better job. Actually the majority is not. Yes, you can treat tennis elbow at home, but nothing beats the experience of a good therapist. Falling into a comfort zone just doesn’t stop at therapists. Wait till you hear what the surgeons think. For example, there are certain treatment guidelines of what works and what doesn’t, and some of the most simple can actually involve treating tennis elbow at home. The study found that there was little correlation between the scientific evidence and the therapy choices that surgeons recommend. As you’ll see shortly, these recommendations don’t fit the current thoughts on what works. So if health professionals can’t agree on what the best form of treatment is on how to cure tennis elbow at home or getting physical therapy (pt) for tennis elbow, how can you figure it out yourself? That’s where this article comes in. In order to learn how to stop tennis elbow pain, there are certain treatments that you may want to explore more seriously, while others may not be the best case for your time or money, whether on treatment or to prevent tennis elbow. So far, you've seen that most health professionals can't agree on which treatment is most effective. You've also seen that there are different stages of tennis elbow. Which stage you are in will dictate which treatments may be the best for you, like strengthening or stretching for tennis elbow. You also learned that most tennis elbow goes away within 12 to 18 months, and most research says that for curing tennis elbow at home, just do ‘nothing’. So you got tennis elbow. You may have tried an elbow pain brace, or even home remedies for tendonitis of the elbow. Your tennis elbow recovery isn’t coming along as you hoped. For fixing tennis elbow, treatments may help. Before we get into what can be done for tennis elbow and recommending all kinds of home remedies for tennis elbow pain, have you ever wondered what the risk factors are that may prevent you from getting better? That’s what this section is about. Here are the risk factors that can delay your healing. Keep in mind that they aren’t all inclusive. That means if you have one or several of these, it’s not automatic that you aren’t going to get better anytime soon. Treatment at a therapy center or treatment for tennis elbow at home is still an option. These are just used as guidelines to understand what your next step should be and what to expect. If you’ve been to a therapist or doctor recently, you may have been given some ‘tests’ and questionnaires to fill out along with any treatments or an epicondylitis strap. At first, you may just think of them as simple questions that allow your therapist or doctor to get more information on your situation. However, did you know that these tests are also used to help predict your chances of getting better? They may seem like simple questions on the surface. However, they’ve usually gone through years of testing to see if they actually CAN be the medical crystal ball that everyone hopes they can. Now, they can’t predict whether you will do better with an arm brace for tennis elbow or a physical therapy elbow treatment. For tennis elbow, this magic crystal ball is called the Patient-Rated Tennis Elbow Evaluation. Guidelines show that if you score less than 50, there’s a good chance you’ll recover. If you score over 50, the issue is more serious. Treatments also change. If it’s over 50, we may want to look at more aggressive forms of treatment, or even send you off to a specialist. Can you do this questionnaire at home? Sure you can. But one word of warning. These are questionnaires that we use in the clinic. Although I’m going to provide a link so you can download it here, its still best to do it with a health professional that can analyze the results with the rest of their findings. But here’s the link if you want to do it now. It might really surprise your health professional if you show up at your office with this already done! Click here ﻿to take the questionnaire. What’s your score? Is the pain local or spread out? If the shooting pain in elbow can be pinpointed within a 1 to 2 cm area, then its’ most likely tennis elbow. If the pain is diffuse, spread out over the elbow, going down to your forearm and / or fingers and upper arm, then we may want to look at other things, such as trigger points (muscles knots). A tennis elbow brace at this stage may be useless until you get the muscle knots or trigger points taken care of. Is there pain at night? 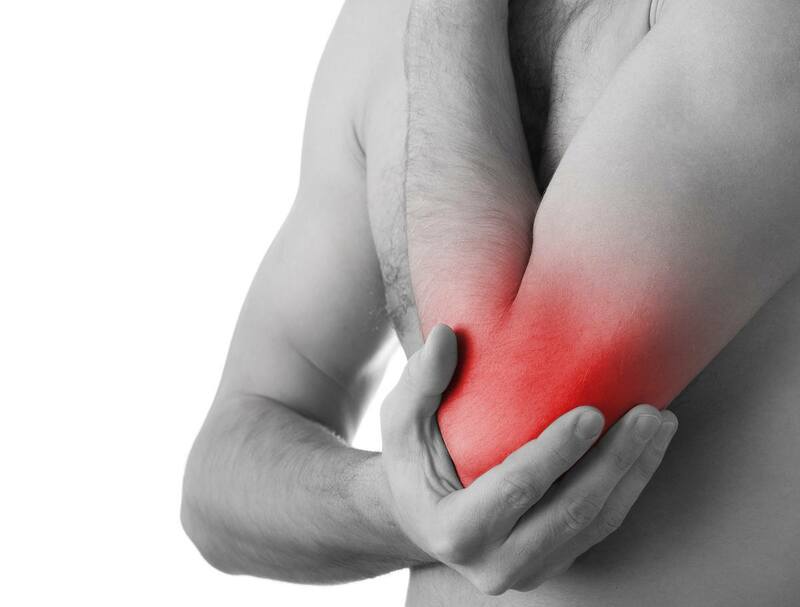 If you have pain at night during rest, that’s usually not a sign that it’s tennis elbow. You’ll need to see a health professional to screen out other things. In terms of what kind of doctor treats tennis elbow, you will most likely see a physician, physical therapist, or chiropractor. All of them would be equally competent for your elbow injury treatment and diagnosis. Remember, tennis elbow has nothing to do with inflammation. Some of my patients complain of night pain and contribute it to being ‘inflamed’. Generally, tennis elbow doesn’t cause night pain. It usually ends up being something else, which I usually refer back to a specialist to run the appropriate tests, which may include ultrasound for tennis elbow. If you’re like nearly 99% of my patients, you may come to believe that since something is wrong, it shouldn’t be hard for us to ‘find it’. We all want to be referred for x-rays, ultrasounds or MRI’s because well, it’s going to provide all the answers, right? Will these fancy tests then tell you exactly what tennis elbow treatment at home you need? Nope. These tools are mostly used as part of a total approach. Getting an ultrasound by itself is not going to prove anything. It’s not going to tell you what tennis elbow exercises to avoid, or how to cure tennis elbow at home. For example, one study found changes on ultrasound that was very similar to what you would see for tennis elbow. (Ref.) The only problem is, these people were pain free. They have never had tennis elbow! The thing about these tests is that they are actually good at predicting if someone DOESNT have tennis elbow, rather than what helps tennis elbow. Not only that, but there can also be differences based on the equipment used and the experience of the technician doing the work. (Ref.) That doesn’t lend much comfort in believing that these magical technology tools are going to provide us with the answer we’re looking for. So next time your doctor tells you that you have some ‘degeneration on ultrasound’ or ‘inflammation contributing to elbow ligament pain’, take it with a grain of salt. However, never say never, since treatments and advances in science are always changing. For example, a study looked at 96 people with chronic tennis elbow. (Ref.) Surprisingly, the results on MRI were consistent with the severity of pain that a person felt. 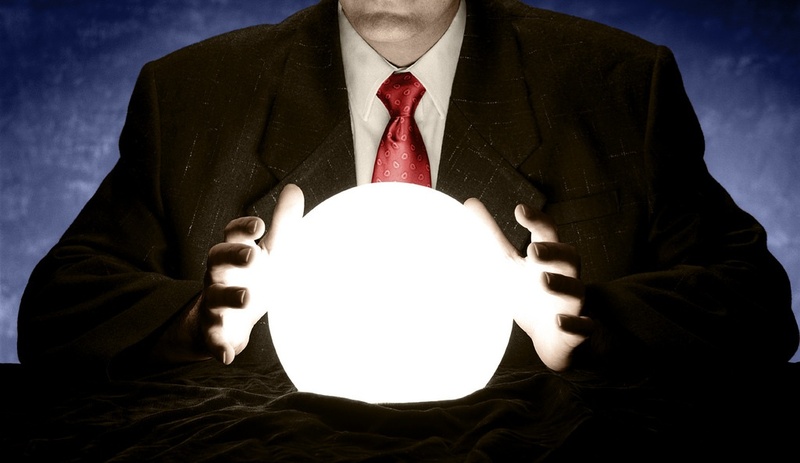 Could this finally be the crystal ball we’ve been looking for? Could this help with tennis elbow home remedies? Not so fast. The study was with only chronic patients. That means if you have an acute / recent injury, an MRI may not provide any extra help in your recovery. Some of these patients had also received some form of therapy in the past (example: elbow brace tennis elbow treatment), so the results could be altered. 1. If you have a recent injury, an ultrasound or MRI may not provide much help in telling you how badly your tennis elbow is, or whether you need a forearm brace for tennis elbow, or what specific exercise you need to do. 2. What you see on ultrasound or MRI is usually not associated with how much pain you have. 4. Apart from the tools themselves, results can change depending on the experience of the operator and the type of equipment used. If an MRI is useless, then why use it? I believe that any type of technology is often overused. As health professionals, we are hopefully getting better at following guidelines on when to use, and not use, these technologies. That’s because mostly every patient I’ve had believes that the MRI will provide the answer, even when I explain that it won’t. Hopefully now you’ve learned that you can’t really rely on these technologies to get to the one thing you want: to be pain free. That’s where other treatments come in. So why have these technologies? The reason is that they’re VERY GOOD at finding out if there are more serious things occurring, for which arm braces for tennis elbow would be completely useless for. For example, there’s a ligament in the same area as your muscles in the forearm. It’s called the Lateral Collateral Ligament. Why is it important? It’s because for some people (not everyone, but a few), damage to this ligament is usually a sign of a more several tennis elbow injury that can’t be solved by braces for tennis elbow or any type of exercise. If you have this, and looking at what to do for tennis elbow, just note that your recovery may take longer, and there may be more serious solutions, such as surgery. But again, these things are rare. In the majority of cases, tennis elbow gets better on it’s own, or with the help of simple, conservative treatments, which may be the best option on learning how to recover from tennis elbow. So what are NSAIDS? The fancy long word is Non Steroidal Anti Inflammatory Drugs. You may know it by it’s product name: Aleve, Aspirin and Advil. How many of you have taken NSAIDS? Has it helped? More often than not, it doesn’t provide the miracle cure that we think we’re getting when we watch some of those commercials on television. Same goes for tennis elbow ice treatment, by the way. If you have signs and symptoms of tennis elbow every day and you aren’t getting better, its not hard to reach for some NSAIDS. And why not? They’re available at your local drugstore or pharmacy. It’s easy to get your hands on them with the first signs of tennis elbow. But do you really know what to expect? Here’s the low down. I do sometimes recommend that my patients follow their doctors’ advice on using NSAIDS. The initial goal is to provide at least some form of pain relief, especially if all you care about is how to heal tennis elbow at home. Once we can get that going, it’s easier to progress to things like exercise and therapy as additional help for tennis elbow. Having pain every day is going to get more frustrating. It makes us begin to think irrationally. All of a sudden, we’re thinking what it’s like if we dont’ get better. Instead of being proactive in how to help tennis elbow, we envision ourselves disabled and unable to do anything. We get frustrated. We get scared. We pray for some form of tendonitis elbow relief. This then becomes a vicious cycle of fear and frustration, with the worse outcomes racing through our minds, like surgery for lateral epicondylitis. You may think this is an exaggeration but it’s not. I’ve seen patients progress to these thoughts in a matter of a week, even if they’ve only started with a simple elbow band for tennis elbow (remember how we said that most tennis elbow gets better within 12 to 18 months without any treatment). Nobody wants to hear that! Everyone wants a solution today! Like easy home remedies for tennis elbow tendonitis that you may read on the latest health blog. But don’t count on it to be the magic pill, lotion or tennis elbow cure. Just remember why you are taking it. It’s designed to give you SOME help with pain so you can begin to make changes, and not something to permanently cure tennis elbow. You can begin to avoid the movements at work or home that led to the issue in the first place. You can begin stretching and strengthening. You can begin to take charge of your health. But this only begins after you get some form of pain relief. What Type of NSAIDS Should I Take? A great research study that summarized all the findings also found that taking topical NSAIDS may provide better treatment success than ones taken orally. (Ref.) So before you begin popping the pills, reach out for the ones that come in gel form. If there’s one piece of advice to give, it’s this. Taking NSAIDS is NOT an excuse to keep doing what you’re doing. If you’re finding that certain activities at work or in sports has caused your problem, the last thing you want to do is take NSAIDS and go back to doing that. Note: The majority of my patients do have a hard time limiting what they are doing. Do note that this is probably one of the biggest factors in recovery. The only time I know someone following proper instructions is from tennis elbow surgery recovery, where they have no choice! I sometimes wonder if the television commercials for all this medication for tennis elbow are to blame. In those commercials, someone gets in pain, takes their NSAIDS and then you see them happily doing the things that were hurting before! Doing this can lead to more damage. Instead of pain limiting you from doing it, you get less pain. With less pain, you continue to do the same amount of damage. Be wary of that. That’s why when people use a brace, tennis elbow stresses are reduced. But that alone can only do so much in curing tennis elbow. Modifying the activities that caused your problem is the major strategy. Now you know why you may need to take NSAIDs. It should be temporary, providing short term relief for tennis elbow. It should mostly be in gel form. And you should use them as part of a full treatment program. Even with the best tennis elbow treatment, some of you may develop of habit of taking them long term. If you take them long term, there is a risk of significant side effects that are going to be a much worse problem than a painful elbow. And we’re talking about things such as gastrointestinal bleeding, renal failure, liver damage and even heart complications. (Ref.) So much for NSAIDS being the best cure for tennis elbow! There’s one last point about NSAIDS, which really makes it an ugly choice. These are called ‘anti INFLAMMATORY’ medications. Well, the most recent research shows that tennis elbow really doesn’t come with much inflammation. It’s like putting a square peg in a round hole. Ask yourself the question ‘can tennis elbow be cured by an anti inflammatory medication when there is no inflammation?’ next time one of those commercials comes on TV! Going forward, we’re going to discuss specific treatments that you can do for relief from tennis elbow. Some of these may very well be the best thing for tennis elbow. If you’ve read any of the previous sections, you now know that the majority of research says that the best way to treat tennis elbow is do nothing. The best way to heal tennis elbow is leave it alone and magically it will get better after 12 to 18 months. You’ve also read that tennis elbow isn’t one specific condition. It’s a condition that comes in different stages. In order to learn how to help tennis elbow heal, treatments do better in one stage and certain treatments do better in another. To learn how to heal a tennis elbow correctly, certain treatments, if given in the wrong stage, may actually make the problem worse. Which brings us to the first question. In order to learn how to take care of tennis elbow, which one should you go to? When looking at health care providers, don't base your decision on whether you should see a Chiropractor, Physical Therapist, or even a Massage Therapist or an Acupuncturist. . Base it on whether that individual has enough experience treating tennis elbow. After you learn what is tennis elbow and how to cure it, you’ll be referred for therapy for your tennis elbow. If you’re talking to friends, they may point you to a health professional they trust. As you can see, you’ll most likely be pulled into many different directions. You’ll end up seeing a chiropractor, and then have everyone telling you that a physical therapist is who you REALLY want to see! You’ll get a recommendation for a strap for tennis elbow, when someone may say you really need a tennis elbow splint. The truth is everyone is right and everyone is wrong. There isn’t a single profession that is ‘specialized’ in treating your tennis elbow. I’ve always found that certain therapists or health professionals are really good at treating certain conditions. For others, not so much. In addition, certain treatments like elbow tendonitis brace works for some, and for others, not so much. How can this be though? Didn’t they all go through the same training? They may have, but you only learn the basics while going through school. When you begin practicing, it’s a different story. Same with treatments. For tendonitis, elbow brace is the first thing that’s usually recommended, yet it can be completely useless for some. Instead of deciding WHO to see, let’s go through the types of treatments that work, like tendonitis elbow treatment exercises. You can then work backwards and see if a health professional focuses on something like exercises for tennis elbow tendonitis, or knows of anyone that does. However, there are others out there telling you most treatments are a waste of time, like how to cure tennis elbow naturally. This camp believes that most of the people that have tendonitis, elbow cure treatments are useless. And where do they get their proof for treating tennis arm pain? They may be referring to the following study (Ref.). This study did a review of all the research studies that dealt with sharp elbow pain and tennis elbow treatment. For those that treat tendonitis, elbow pain was no better than just placebo or observation in the medium to long term. They looked at the effect of treatment like elbow tendonitis rehab or no treatment after 6 months or greater. The study looked at whether remedies for tennis elbow provided any tennis elbow cures after 6 months. However, they also point to the fact that getting therapy can actually help in the short term, if not as a long term cure for tennis elbow. If you’re someone that is looking for pain relief for tennis elbow, would you want to wait 6 months for it to get better, or would you like to get treatment so you can experience at least some short term relief? I’d choose the latter, and find out what is good for tennis elbow TODAY. Let’s say you’re looking at how to deal with tennis elbow. 1. Don’t go back to the activity that caused your pain too quickly. So you’re in a lot of pain. You go for treatment and you begin to feel better. You feel you finally found the right treatment on how to fix tennis elbow pain. So what do you do? I’m guessing you go back to what you were doing before. Besides, the treatments should have ‘cured’ your elbow burning pain. Right? In my over 20 years of experience, its the fact that patients develop over confidence in their treatments that leads to them coming back with burning pain in elbow. The most important way to relieve tennis elbow pain is to avoid the activities that caused it in the first place. However this isn’t what most people do. Once someone begins to feel better, they go back to what they were doing. And the pain begins again. The best tennis elbow support in the world isn’t going to relieve your pain if you quickly go back to the bad activities. The best support for tennis elbow is to gradually get back into those activities based on the advice of your health professional. Let’s say you decide to get the best elbow brace for tennis elbow. Someone tells you that braces worked well for them. After the first week, you begin to feel better. You get motivated, so you begin seeking tennis elbow natural remedies online. Now you start adding some of those to your daily activities. And then, your therapist decides its a good idea to start physical therapy for lateral epicondylitis (clinical term for tennis elbow). Whether you have pain in one or pain in both elbows, you start an exercise program at the same time. After a couple of weeks you begin to feel better. You believe you’ve found the secret on how to cure tennis elbow. You go back to your regular duties at home or work but are instructed to continue doing the exercise treatment of tennis elbow. A month or 2 later, you begin to notice that the pain is getting worse. You end up going back to your therapist and repeat the treatment for tennis elbow all over again. So what is the treatment for tennis elbow that will cure it 100%? Even though you’re successfully treating tendonitis, elbow pain may come back. In some cases, that’s true. No matter how many treatments you do, if you go back to doing the things that caused it in the first place (I’m talking to all the competitive athletes and people who don’t have the luxury of taking a break from their hard and difficult jobs), you’re going to re-aggravate the sharp pain in elbow. What if there was another answer to this? Sometimes there is. You see, some of the best exercise for tennis elbow may be helpful, but what if the exercise therapy for tennis elbow that you were given was actually making your condition worse? By doing many different tennis elbow therapy treatments at once, you’re never going to know, when treating tennis elbow, what is working and what isn’t. The good treatments are going to be cancelled out by the bad ones. Most of the studies do show that different forms of therapy help in the short term. If you’re someone suffering and desperately looking for something on how to cure tennis elbow pain, getting some form of help to reduce tendon pain in elbow isn’t something you’re going to pass. I don’t know of anybody that wants to just let 12 to 18 months go by and hope that they are one of the 80% of people that just get better on their own without tendonitis elbow treatment. Some studies have shown that the therapy you get today may help you for a few weeks. But in the long term, it’s no better than placebo or just waiting and seeing (and this includes such things as tennis or golfers elbow brace). However, there’s another thing they don’t mention. One study found that getting treatments or not getting treatments had the same benefit at 6 months. However, the people that didn’t get any treatments had some setbacks at 12 months, while the group that did get the treatments had setbacks at 24 months. (Ref.) If you know how painful is tennis elbow, I’m sure that even though you may get some setbacks, you’d be more than happy to delay those setbacks by one year! It’s simple. Treatment does in fact work. And what treatment works for you may not work for someone else. For example, for some of my patients with elbow pain, weight lifting has been really helpful. For others, that would be something we wouldn’t even consider. Note: The best chance of success is to stop going back into the activities that caused your pain in the first place, regardless of whether the pain went away quickly, or you get a false sense of comfort by wearing an epicondylitis brace. We go back to our old habits. We begin to believe that we’ve been ‘cured’ from our tennis elbow, whether it’s pain below or pain above elbow. As you can see from the research, there’s no actual cure, but a lot of tennis elbow treatment options. Once you get tennis elbow, you need to be vigilant in making sure you take away all stresses that will make that tennis elbow rear it’s ugly head again. When we talk about treatments, we’re going to talk about techniques. 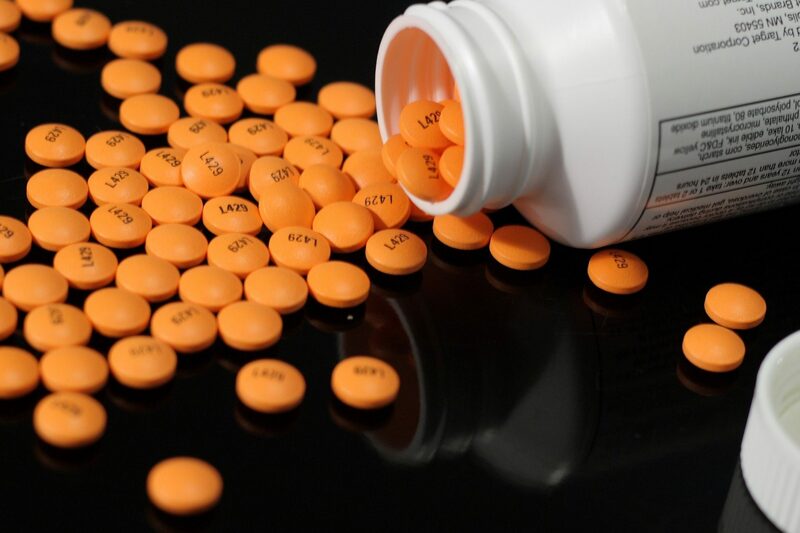 If you’re looking for medicine for tennis elbow, we covered NSAIDS in a previous section. These techniques on how to care for tennis elbow, in most cases, can be practiced by a chiropractor or a physical therapist. If you do see a therapist, you may want to ask if they specifically use these to treat tennis elbow. Surprisingly, there’s less information about these techniques as there is for general exercise or more common modalities like ultrasound or laser therapy. Which is a shame, since I’ve often got some excellent results with them on how to relieve tennis elbow. So why is joint mobilization and manipulation often overlooked? Look at it this way. When looking at how to relieve tennis elbow pain, we’ve always thought of it as a ‘muscle inflammation’ problem. One of my patients described it the best on what helps tennis elbow pain. She said ‘manipulation is like going to a restaurant and getting the wrong meal. But you try it anyways and it turns out to be the best meal you’ve ever had!’. When it comes to therapy for tennis elbow tendonitis, manipulation and mobilization are not what they expected when they walked in looking for tennis elbow remedies. The question is, does it work? How does it work? And is it right for you? In a nutshell, a therapist provides a lateral glide to your elbow while you’re clenching something that recreates the pain. (Some therapists may also recommend other treatments, like a splint for tennis elbow). The best thing about this technique is that you also repeat this as part of a home elbow pain exercises program in between therapy sessions. So make sure your therapist is also teaching you how to do this on your own. So who does the Mulligan technique? It’s a good question, because Mulligan usually requires special training. Some may say they do it, but someone who is experienced is the best person to see. It’s like acupuncture tennis elbow treatments. Would you want someone who has a few hours or years of clinical experience? If you want to find someone on how to treat tennis elbow with the Mulligan’s technique, you need to find a therapist that has had training in this. That’s why it’s not something you want someone to do to you if they haven’t had proper training. Even the best tennis elbow brace won’t help if you don’t have the correct instructions. Best thing to do is to go to the Mulligan website, where they list all the practitioners. You can find one near you. Click HERE to go directly to the page. So far, you’ve seen that some joint mobilization at the elbow is a good thing, when you may have been wondering what the joint has to do with a so called ‘muscle inflammation’ problem. The same can be said of the neck. Most of my patients expect to get the best brace for tennis elbow, and next thing they know, I’m examining their neck! Do you get pain on the outside of the elbow, and found that there wasn’t any treatment for lateral epicondylitis that helped? You may want to talk to your health professional about taking a look at your neck, even though the pain appears to be from the tendon in elbow area. For neck treatments, there hasn’t been a lot of research that gets everyone excited on how to treat tennis elbow tendonitis, but there has been a good amount of research to say ‘hmm, maybe this is something I need to look at to heal tennis elbow.’ When we talk about treating the neck, we’re talking about mobilization and manipulation. So what’s the difference between mobilization and manipulation? I’ve found that manipulation usually provides quicker results, but I’ve also found that patients are a bit more nervous about having their neck adjusted so quickly. There’s really a fine balance between the two. I’ve found that adding this to elbow tendonitis exercises provides an even better outcome. Best way to describe it is not in words, but in video. Here’s a video that describes general mobilization techniques of the neck. Notice how it’s very slow and gentle. I love videos like these because they actually give you a good idea of what to expect before seeking out a cure for elbow tendonitis. The only thing I don’t like is that these are always the most positive examples given! Your expectations should be lessened a bit since the majority of people don’t see as significant of results as these (that’s not to say you won’t!). It’s like some of the testimonials I see from products like aircast tennis elbow braces. You only get the positive ones but never the negative ones that don’t show any tennis elbow pain relief. So why does neck mobilization and manipulation work? Its sort of the chicken or the egg dilemma. Did the neck pain lead to tennis elbow, or how exactly does someone get neck tenderness when they have tennis elbow? In these 36%, the patients didn’t report any neck pain. That’s probably why nobody looks at the neck when treating tennis elbow, although it’s a great way on how to heal tennis elbow naturally. However, neck tenderness can be explained by something they call the ‘Central Sensitization Mechanism’. It’s a big fancy word for some of the new directions that experts are going with chronic pain. Without getting too much into the specifics, here’s a short way to describe this. Say you have tennis elbow, stretch and strengthening and elbow supports not appearing to help the burning elbow pain. That severe tennis elbow pain signal gets sent to your brain, telling it that the tissue there is hurting. In some people, that signal gets amplified, whether or not they’re getting sore elbow treatment. Next thing you know, you have severe tennis elbow pain in addition to pain all over. Things seem to get worse. You may even think you have a swollen elbow. That’s why focusing just on that tennis elbow, or exercises for tennis elbow, is not going to be enough for those that don’t get better in the short term. In this case, the neck may also become tender. In any case, just keep this in mind when your health professional begins poking around your neck or starts giving you back exercises for your tennis elbow, or even for golfers elbow treatment exercises! A competent chiropractor or physical therapist will be able to address any neck issues that may contribute to a chronic tendonitis elbow. Mobilization is usually gentle and slow, while manipulation is much quicker, but still safe. Whichever one you choose will depend on your comfort level, your trust and comfort level with your health professional and the experience and expertise of the health professional you’re seeing. Same goes for injection for tennis elbow. The experience of the professional is sometimes a key factor in learning how to treat a sore elbow successfully. Deep friction massage is the process of rubbing near the tendon. The goal is to help break up ‘scar tissue’ and help ‘remodel’ the area causing elbow pain tendonitis. So what does the research say about deep friction massage? However, the study points to the fact that more studies need to be done. Which appears to be the conclusion most studies reach! In reality, deep friction massage, or using tools to provide similar results, have been quite effective in tennis elbow. The reality is, deep friction massage with the hands or tools may be quite effective for the ‘degenerative tendinopathy’ stage of tennis elbow. But if your tennis elbow is in the ‘reactive tendinopathy’ stage, you may actually be making things worse. Exercises to help tennis elbow will be discussed shortly, but first I put these into one section because, well, the research isn’t showing much benefit to any of these treatments. Have I seen laser work for tennis elbow? Definitely. How about shockwave? Again, yes. Overall though, most research shows that these treatments may not be any better than placebo. The problem with getting the right answer is the fact that one usually uses them in combination with other treatments, like ergonomic advice, best exercises for tennis elbow, and unfortunately, tennis elbow injection. When you throw everything but the kitchen sink at your tennis elbow, it’s kind of hard to figure out which treatment is actually working and which isn’t. Is it the tendonitis elbow exercises or the ergonomic advice? The best advice with these treatments is to make sure they are used in combination with other treatments, especially tennis elbow relief exercises. NOTE: In a previous section, I recommended that you not do too many treatments at once for severe elbow pain. That’s because you’ll never know what is working. With these type of modalities, there can be an exception. The reason is that these treatments hardly ever work by themselves. Adding them to things that do work (ergonomics, exercise, bracing, depending on what stage of tennis elbow you are at) may provide some additional relief for tennis elbow tendonitis. You’ll get a lot of different answers when it comes to ice and heat as a cure for tennis elbow tendonitis. In the past, it was a ‘given’ that you would ice your elbow if you had pain. These days, a lot of people are questioning whether this is useful. That’s why there’s a bit of ‘personal opinion’ mixed with science. That’s because there’s no real, definitive answer. Note: If you know how to diagnose tennis elbow, you’ll know that it comes in different stages. This may be a factor in whether these actually work or not. The goal of ice has been to reduce inflammation and swelling after an injury. As you already now know, there are different stages of tennis elbow. The ‘reactive’ stage is something that happens if you have a recent sudden injury. This can also apply to golfers elbow symptoms. So it would be wise to put ice on that injury, right? Not necessarily. You also now know that there is very little, if at all, of inflammation with tennis elbow. It’s more of a degenerative condition instead of an inflammatory condition. If you have a recent tennis elbow injury or pain from elbow to wrist, ice may be helpful with pain control. However, you should only apply ice when absolutely needed. If you do apply ice, research shows that it takes a minimum of 9 minutes for ice to actually penetrate to the deeper tissue. Therefore, anything less than 9 to 10 minutes won’t do much. Go closer to 15 to 20 minutes, regardless of the causes of tennis elbow that you may be experiencing. Make sure you never put the ice directly in contact with your skin. This may increase the chance of frostbite. If you have chronic tennis elbow (cause of injury doesn’t matter in this case), you may also use ice as a pain control method. Use it before doing any aggressive exercises if you feel that it helps with pain control, or use it after. With all the contradictory information you’re going to get, there really isn’t a right way. I focus more on WHY you are putting ice on tendonitis treatment (elbow or any other area), and what you are accomplishing. The type of ice pack also matters. Research shows that heavier ice packs generally penetrate the skin better than lighter ones, regardless of the cause of tennis elbow. One word of advice: Want to know why it takes so long, regardless of treatment for tendonitis in elbow, to get better? The reason is that for tendonitis in the elbow, the area has some of the least amount of blood supply. When you get injured, having good blood supply allows your body to bring in nutrients and remove waste. Essentially, it helps you heal. Less blood supply means it’s slower in healing. Ice reduces blood flow, which may in fact prevent or delay your body from healing. Just be cautious of when you are going to use ice! To best learn how to treat tendonitis in the elbow, it’s best to keep an open mind and to see how these treatments affect you, personally. In the past, I would give the same generic advice with heat. 1. Try heat. If it helps you with your goals, continue. That’s pretty much it on how to cure elbow tendonitis with heat. There’s no precise recommendations. If you get an injury, and you put heat on it, and your goal is to reduce pain, see if it reduces pain. If this tendonitis in elbow treatment works, keep doing it. If your goal is to get less stiffness before you begin an exercise program, and the heat allows that, then keep doing it. If you find that it relieves any pain after lateral epicondylitis surgery, continue doing it. Moist heat may be better than dry heat. However, experiment with each one to see what you feel helps your tendonitis of the elbow. Heat can be used in several different ways. You can use it to reduce pain, or you can use it to decrease stiffness in your muscles and joints before starting an exercise program. As a treatment for tennis elbow tendonitis, find out exactly why you are using it, and then see if it actually accomplishes that. Note: Is tennis elbow tendonitis coming with ‘inflammation’? We go through this in other sections, but I just want to again say that it should be called “tendinosis”, but since ‘tendinitis’ is what everyone knows, I’ll continue to use it in this article. There are many different types of braces that are used for tennis elbow. The question is, what is the best tendonitis elbow brace? Research pretty much says that there may be slightly better outcomes with a brace than a corticosteroid injection. If you’ve read the section on corticosteroids, that’s not much comfort since corticosteroids are not something that should be used for tennis elbow at all! The research also points to the fact that one type of brace isn’t any more effective than another. In addition, adding a brace to another treatment, such as exercises for elbow tendonitis, may not give you any better results. If you’ve read the section on the stages of tennis elbow, you’ll know what the rationale answer will be for using a brace for pain in elbow joint. If you have a ‘reactive tendinopathy’, you most likely need rest and to stay away from the factors that making your problem worse. Most of my patients don’t understand the concept of ‘try to avoid doing things that make your pain worse’. Usually that means ‘stop going to work and making money to pay your mortgage’, or ‘stop paying golf in the last few weeks of the summer that you have left before you have to wait another 7 months’. Exercises for golfers elbow or tennis elbow tendon pain are also taken up slowly in this phase. It’s in these situations that the best braces for tennis elbow become really effective. If you can avoid the activities that caused your pain, that’s great. But having tennis elbow braces will at least provide short-term relief of stresses placed on your elbow tendon. Make sure it’s worn about 1 inch below the epicondyle (area where the tendon attaches on the elbow). This allows for a reduction of stresses to the tendon. Braces alone will not help 100% (there really isn’t one ‘best treatment for elbow tendonitis). You will need to take some action on modifying the activities that are repeatedly stressing your elbow. Same goes for how to cure golfers elbow. I’ve seen patients invest in expensive new clubs when all they had to do was put on a brace and stay off their golf game! Some research recommends (Ref.) that you continue to wear it at least 2 weeks past the date that you feel pain free. Regardless of treatment, tennis elbow has a good chance or reoccurring. That’s why its important to be patient. As a treatment for epicondylitis, there are several different taping techniques out there. There’s the typical taping technique that looks like a diamond around the elbow muscles. And then there is ‘kinesio taping’, which you may have seen some of the professional athletes wearing on TV for their arm and elbow pain. Taping by itself is not a ‘cure’ for your tennis elbow, just like a golfers elbow strap isn’t going to help you go play a round of golf pain free. Taping has shown to be helpful in increasing grip strength (Ref.) as a promising way on how to treat elbow pain. Just like bracing, taping should be a means to an end. Let’s say you are given some exercises. And with that exercise, tennis elbow pain increases. If your therapist feels you have ‘degenerative’ tendinopathy, exercise in the long term will be helpful for this elbow strain. However, using taping can help reduce some of the discomfort and pain, and also increase your grip strength. This together can help you be more compliant in performing your exercises. How to fix tennis elbow is not always so simple. Another interesting thing to note is that these changes in strength can be seen rather quickly for tendonitis in elbow. If you’re getting taping as an elbow tendonitis treatment, it may only take a few minutes to see if the taping is helping. Are you feeling less pain? Do you feel you can and grip with less pain? If so, continue treating elbow tendonitis with the taping. If there are no changes, you may want to change up your taping method or adjust it until something works. And remember that it’s just one treatment option and not an elbow tendonitis cure. Does exercise help with pain in elbow joints? Definitely. In fact, it’s probably one of the most important parts of elbow and arm pain treatment. Does it help everyone? Not really. If you haven’t read the section “The Most Important Section In This Article”, go to that section. In that section, we’ve talked about the different ‘stages’ of tennis elbow. If you’re in the first stage (called ‘reactive tendinopathy’), then starting off with exercises may just make the matter worse. If you’re in the degenerative stage, exercise is going to be really helpful, even if you’re a bit sore doing them. Note: Not every therapist is a ‘tennis elbow doctor’. Even though the majority knows about these stages, there are a few that may not. Be aware of that if you’re getting treatment that you feel is not in line with what you’re reading here. For elbow pain remedies, you may ask “What type of exercises should I be doing for my tennis elbow? That’s a great question. Would you believe if I told you that not only should you be doing exercises for your elbow, but also for your neck and shoulder blades? How to cure tendonitis in the elbow with neck exercises?! Yes, definitely. How about balancing on a wobble board while doing push ups as a way on how to heal elbow tendonitis? If all these sound exotic and well, kind of strange, that’s because they initially were. I remember when I first started providing exercises for the neck and shoulder blades. My physiotherapist used to scratch her head on why I was doing that, since the first thing she did was apply a lateral epicondylitis splint. A little while later, she couldn’t stop doing it either! We’ll get into the specific exercises soon. But more importantly, we’ll discuss WHY you are going to be doing those. All these are very effective treatments on how to heal tendonitis in elbow pain. This study, including several others, showed that strengthening was helpful in reducing pain and increasing strength. However, the study couldn’t find any ‘optimal dose’ findings. That means if you go to your therapist and you ask how many times you should do that exercise, there isn’t any research that gives the answer. It’s always a guess, or based on their experience. That’s unlike the tennis elbow brace, where the instructions are a little more exact. Here’s how wide the results are. In all the studies, exercises were given from 1 to 6 times per day. The average number of repetitions was about 15, but the range was anywhere from 3 to 50. The number of sets was from 1 to 4. Next time you ask for a specific number of exercises, and your therapist hesitates for a second, or starts off their answer ‘well, it depends’, don’t assume they don’t know what they are doing! Exercises should also not be used just by themselves. A combination of different strategies (depending on the stage you are at) can be even more helpful, regardless of pain in inner elbow or out. One study found that strengthening, in addition to manipulation of the elbow joint, was even better on how to heal elbow pain. (Ref﻿﻿.) What’s interesting about this study is the elbow manipulation may have provided some short term pain relief, which allows one to stretch and strengthen their elbow more than if they were limited by pain. When I provide exercises after tennis elbow diagnosis, one of the things I always look at is whether they’re actually able to do their exercises with the greatest effort, regardless of pain in elbow and forearm. That’s because I know the exercises, with or without elbow and forearm pain, will produce better results in the long term. But if you’re in forearm and elbow pain, you’re not going to trust me all that much. Most of you, including most of my patients, don’t really care if the ‘research shows that it will take a few weeks for the tennis elbow to get better.’ You want relief NOW from your pain in forearm and elbow! That’s why I always find other treatments that I think will help reduce pain. After a tennis elbow test, I may recommend something like manipulation. The benefit is that it will allow you to work harder with your exercises. Just keep that in mind if you’re starting an exercise program and you’re still in pain in elbow tendons while doing them. One more thing to know about exercises and tennis elbow forearm pain. They aren’t instantaneous. They aren’t going to give you a magical tendonitis tennis elbow pain relief in one day. Corticosteroids and NSAIDS on the other hand, may. That’s probably why a lot of people are open to quickly get corticosteroid shots done for a sore elbow tendon or a sore elbow joint. Most health professionals, including a lot of family physicians I deal with, know that corticosteroids aren’t going to be as effective in the long term, for forearm pain near elbow, as one wants to believe. So why do they so easily provide them? The answer is simple. It’s because patients demand it. If you’re in constant pain every day, exercise for tennis elbow isn’t working, and you can’t afford to take time off work, you’re going to pressure your doctor to get a corticosteroid injection. Its human nature. But in the long run, it’s not going to work as effectively as focusing more on a tennis elbow exercise program. Just some food for thought. Exercises will work if given at the right stage of injury. This is mostly for chronic and not acute elbow pain. Exercises are shown to be effective in the short and long term for muscles involved in tennis elbow. If you have tennis elbow tendonitis and are searching for strengthening or stretching exercises for tennis elbow, this may be one of the most common exercises that you’re going to come across on the internet, or at your therapist’s office. Do this right, and your elbow will thank you. Do it wrong and you may be doing more harm than good. Why is eccentric (training in one direction) better than strengthening in both directions? Tennis elbow is caused by an injury to the tendon. The tendon attaches to the bone on one side, and the muscle on the other. Without getting into too much technical detail, the goal is to focus on strengthening the tendon, and then progressing to the muscle. Research has shown that eccentric part of an exercise is what provides the best exercise for tendons. After that, you’ll progress to the muscle and begin using exercises that work both directions (flexion and extension). Note: If you have a more acute tennis elbow or what we call ‘reactive degeneration’, tendonitis elbow braces with a combination of limited rest will be more beneficial. Looking at some of the recent research, i found a study that actually compared eccentric training to general strengthening in both directions. (Ref.) The study did find that eccentric was better for elbow soreness and strength. Also, tendons take longer to heal than muscles, so there really is no quick tennis elbow fix. What would happen if you got too aggressive with your exercises? The muscles can handle the aggressive exercises, but the tendon won’t. That’s why sometimes you may feel like you’re not doing enough, or feel like you aren’t going fast enough. That’s your muscles talking! They want more. They can handle more. But just remember that the tendon needs to heal (remember it’s a degenerative condition and not elbow inflammation) and get stronger before you begin going with heavier weights and more ranges of motion such as both flexion and extension. Note: Not all therapists believe that one should just do eccentric training. I’ve seen some therapists work on all ranges and get great results. The key here is finding a therapist that actually has a lot of experience in dealing with tennis elbow. In addition to learning what causes tennis elbow and how to cure it, I can’t tell you how valuable it is to be treated by someone that has the clinical experience to know which treatments to give you and which to avoid. How often should I do my eccentric exercises? How many sets and reps should I do? This is the first question someone is going to ask. The honest answer is ‘We really don’t know!’ That’s because most studies that looked at exercise for outer or inner elbow pain had used different ways of doing the exercise. A lot of us health professionals will give you those instructions after we explain what causes tennis elbow, not because we know that’s the exact recipe, but because it’s easier for you to do your exercises if you actually have specific instructions. Do as many as comfortably possible. You should feel some pain by the end of your exercises. If it’s VERY painful, then stop. But in treating elbow pain that is chronic, there should be some discomfort associated with it. You may hear others tell you that the exercise needs to be pain free. That’s great in the beginning because you don’t want to have pain frustrate you to the point that you’ll quit. But it’s important to remember that the goal of exercise is to get stronger. And sometimes that produces some discomfort while doing the exercises, whether it’s for tennis or golfers elbow treatment. Try doing them 3 times per week for the first 3 weeks, afterwards which you can increase that to 6 times a week for the next 3 weeks. Where do I get this number? Just from personal experience from treating golfers elbow and tennis elbow. But you’ll get a lot of different answers. Some will recommend 3 times a week for months. I generally find that 3 times a week to start (every other day) allows you time to rest in between putting these stresses on your tennis elbow pain. However, as you get stronger and have reduction in symptoms of tendonitis in elbow, increasing the frequency based on your tolerance level can sometimes be more beneficial. Again, follow the advice of your therapist and the rate of your own improvement. Will I Feel Any Pain With These Exercises? There should be some discomfort by the time you finish your exercises each day. If you feel sharp and severe pain in elbow, you should stop. However, lets back up and look at who exactly does eccentric exercises. If you didn’t skip the beginning of this article, you would know that there are generally 2 stages of tennis elbow, the ‘reactive’ and the ‘degenerative’ stages. Reactive happens when someone recently overloads their tendons, or falls on it. In this stage, eccentric exercises will generally make things worse and may cause extreme elbow pain. The goal is to rest, avoid the movements that caused the pain in elbow area and use things such as braces, etc to help give the elbow time to heal. And remember what causes pain in the elbow does NOT lead to inflammation. Now if you are in the degenerative stage, you’ve most likely have had this for awhile. This is where lateral epicondylitis exercises, such as eccentric exercises, are most effective. If you get some elbow muscle pain with the exercise, it’s not going to ‘injure’ your elbow. The goal is to put enough stresses on the elbow to help strengthen the area. In order to make exercises effective, you need to first make sure the muscle pain in elbow is in the right stage to begin with. How long will it take to see results with exercise? There’s no magic ball when it comes to seeing how long pain near elbow will take to heal. However, it’s important to realize a few things. This is what I’ve found over the years. Most of us underestimate how long it will take, and overestimate how effective the treatment will be. For example, our society is one of instant gratification. We get pain, and we think a pill will cure us instantly, or we look for secret home remedies for tennis elbow. That’s why corticosteroids are still recommended when they shouldn’t be. They work right away, even though in the long term, there’s a high chance of recurrence. With rehab exercises for tennis elbow, the key is to be consistent and patient. It may take several weeks (6 weeks and more) to begin seeing some results in pain and function. Imagine doing something for 6 weeks without any guarantee that it will work! That’s why you need to be aware that this requires a lot of dedication. The payoff will be great, but the process will test your patience, and maybe even help you avoid surgery for tennis elbow. Isometric exercises are another type that can be used for tennis elbow. I hope I haven’t hit the nail on the head too many times by repeating that! Isometrics are basically exercises where you apply resistance to a body part without any movement. For example, if you stand against a wall and push on it with your hand, you’re applying isometric exercises to your hand (it’s pushing, but there’s no movement). Just imagine. You have pain. You perform isometric exercises. They actually have an instantaneous effect on your pain. How wonderful is that? A lot better than elbow tendonitis surgery. Would that help tennis elbow? Be aware that these studies dealt with the thigh muscles and not tendonitis elbow issues. We’re still dealing with ‘tendinopathy’. You have tendinopathy in the knee and you have tendinopathy in the elbow. What could possible be so different? Isn’t it the same as having pain in right elbow and left? That’s where the next study comes into play. Another study actually looked at elbow arm pain. They performed isometrics also, and then decided to see how it will affect the elbow shortly after the isometrics. Another group performed the exercises for lateral epicondylitis at an intensity that was about 20% less than the amount it took to feel pain in the elbow. They had less pain over the next 30 minutes. This study didn’t produce the same wonderful results for pain in elbows as the knee tendon study. However, these studies were short term in nature so it’s hard to see what happens in the long term for outside elbow pain. As you can see, isometric exercise for elbow pain, that were supposed to be so great for knee tendons, may not be as effective for the elbow. That’s why it’s sometimes hard to reduce expectations and excitement when these studies come out. We begin to generalize to other body parts, and then wonder why we aren’t getting the same results! Same could probably be said for golfers elbow pain. If you are in the degenerative stage, isometrics, over the long term, are going to be effective. How much force you apply to your isometric exercise is going to matter. If you do isometrics, and you feel pain in outer elbow after the exercise, then you may be going too hard. Adjust the amount of force you apply to limit the pain. In the elbow study, they produced a force for about 15 seconds. In the knee tendon study it was 45 seconds. Experiment with a range somewhere in between. With elbow pain treatment exercises, always take sides on starting off with less intensity rather than more. You’re not going to see instant results. You need to be patient. Isometrics are gaining a lot of attention for tendinopathy. However, the great results we’re seeing are for knee and ankle tendons and not necessarily for the elbow. Follow the isometrics with caution for now. You may see a lot of stretches being provided by therapists for tennis elbow. I guarantee, after someone google’s ‘what causes tennis elbow pain’, the next most popular search is tennis elbow exercises. The majority of websites will most likely show you a stretch for tennis elbow. However, by now you know that there isn’t one standard tennis elbow. It’s a continuum between what we call reactive tendinopathy to degenerative tendinopathy. Tennis elbow treatment exercises like stretching can be really effective if you’re in the right stage of injury. Most of the time, this is the degenerative stage. That means you’ve probably had aches and pains for years. It just wasn’t severe enough for you to get treatment. The rehab for tennis elbow during this time include strengthening, some deep friction massage, and some stretching. All these things may provide you some discomfort and pain when you do them. However, over time, your elbow will get better and stronger. Doing a stretch during this stage is okay to do. But what about the reactive stage? This is when you’ve started a new activity and suddenly get pain. You may have played sports, or overdone some things at work. You’ll notice pain soon after doing any of these activities. In this reactive stage, the goal is to limit the movements that caused your pain, try using a brace and maybe some therapy. Doing any form of tennis elbow therapy exercises at this stage will only make matters worse. Your tendon doesn’t need positive stresses to make it stronger at this time. The tendon does not need tensile or compression forces. When you stretch, the tendon is getting longer, so you may not think there are any compression forces. However, take an elastic strengthening band as an example. It has a length but also a width. When you stretch it, the width also gets smaller. That shrinkage in the width is the compression I’m talking about. That’s why i often don’t recommend stretching in the reactive stage. If you don’t know which stage you are in, and want to start stretching, just be aware of stopping it if the pain does not get better. What Stretch Is The Best? If stretching as exercises for tennis elbow pain is going to be helpful for you, what is the right position? They found that keeping the elbow straight, with the forearm in pronation (palm facing towards the floor) and a slight bent of the wrist towards the ulnar side (slightly stretching the wrist down and outwards) was recommended. Corticosteroids are often the most commonly recommended, yet the least likely to provide long term relief. Doctors are often pressured by their patients for a solution TODAY. I can’t tell you the number of doctors I know that have patients literally DEMANDING to get a corticosteroid injection. No matter how much they educate the patient, they won’t listen. The patient often demands to get it or will find a doctor that will do it. Some doctors aren’t up to date on the latest guidelines. This is usually not the first reason. Most doctors I know stay up to date on the latest guidelines. However, the research out there may disagree with this. As we discussed earlier, A study did a survey of orthopedic and hand surgeons and found that the most common treatments they would recommend was NSAIDS and corticosteroids. (Ref.) The study found that there was little correlation between the scientific evidence and the therapy choices that surgeons recommend. As you can see in the video, the specialist also doubts the long term effect on the treatment. So who should get a corticosteroid injection? 1. When all else fails, like tennis elbow rehab exercises. Most doctors will only provide an injection when everything else has failed. However, you should now be educated enough to realize that not everyone is going to be able to provide the best pt exercises for tennis elbow. That’s just reality. I treat knees, but I usually refer my knee patients to some other doctors and therapists that are much better at it than me. But not every therapist or doctor will do this. So before you feel that everything else has failed, a better question to ask is ‘Did I get enough second opinions to know if I exhausted all my options?’ If you ask this question, you may save yourself a lot of grief by giving into a corticosteroid injection. 2. When getting short term results is more important than long term. This again is for someone in extreme pain. Tennis elbow may be impacting their livelihood. This can also include elite athletes. With the amount of pressure in sports, combined with a fierce competitiveness, its no wonder they opt for quick results, so they can get back into their sport as fast as they can. Unless you meet these criteria, you may want to stay away from corticosteroids. To give you some food for thought, check out the results of this one study (Ref.). They actually compared corticosteroid injections against a placebo injection (an injection with no corticosteroid materials in it). Would you be surprised to know that the corticosteroid group actually did worse than the placebo group?! The corticosteroid group had more recurrences than the placebo group. A lot of injections are still done manually by the physician. The previous video demonstrated this. Would you believe that the accuracy of these injections are still questionable? A recent study (Ref.) found that only a third of injections were actually accurate! Would injections (of any kind) be more effective if it was more accurate than 1/3 of the time? I’d have to say yes. However, we’ll have to wait for research to come out to verify this. So does PRP work? And is a better alternative to corticosteroids? So is PRP something to consider? I would say yes. It’s surprising because even in 2014, there were a few studies that didn’t see any benefit to PRP for tennis elbow. In a span of 2 years that is starting to change. One of the reasons is that the exact amount of mixing the preparation was not perfected. To this date, it still hasn’t. Research points to this factor being the reason why some studies show benefits while others don’t. But what about comparing PRP to surgery? Somewhat appears to be better than surgery in the short and mid term. If you’ve never heard of this fancy word, it’s probably because it’s slowly gaining attention in recent years. We’ll just call it Tenotomy moving forward. It’s one of the techniques that is showing favorable results with tennis elbow. It’s just the question of finding a doctor in your area that has experience performing this procedure. So why is Tenotomy looking to be a promising treatment? If you’ve read the beginning sections of this article, you’ll notice that most treatments (especially corticosteroids) don’t seem to change the look of the tendon over time. You may feel better, but the tendon remains the same. Degenerative changes may still be present. With Tenotomy, recent research actually shows that there is clear evidence of reduction in the scar or degenerative changes that occur with tennis elbow. (Ref.) In plain English, there may actually be tendon healing occurring! This is significant. Corticosteroids tend to further destroy your tendon at the cost of immediate pain relief. Tenotomy can actually heal a tendon. Another great thing about this technique is that one should get into an aggressive physical therapy and exercise program right away. It seems that the therapy and exercise after the treatment is one of the most important parts of the whole sequence. The same exercises that would have caused you pain before, will now make the Tenotomy treatment more effective. Out of all treatments, this treatment makes the most sense. It’s safe, low risk, addresses the exact tissue structure that has led to your pain, and is complimentary to an aggressive exercise program that will eventually make your tendon stronger and more flexible. The procedure looks promising. But with any procedure, one still needs to have a conversation with their physician. You need to weigh the benefits and risks of each procedure to see what will be best for you. Surgery is usually something of a last resort when it comes to tennis elbow. So far, let’s summarize what we know so far. Tennis elbow isn’t ‘one condition’. It’s a continuum of stages. Which treatment is most effective for you may depend on which stage you are in. If you are thinking of considering surgery, keep this in mind. No matter how much you read online about surgery, or try to educate yourself, the final decision rests between you and your physician, and not you and Google (and definitely not you and this article!). There are many variables that a surgeon looks at when deciding on whether you require surgery. We’ll get to those in a second. Each person is different and 2 people that have the exact same clinical symptoms may get different recommendations for surgery. So before reading further, keep that in mind. Now, having any of these does not mean you will need surgery. They also don’t mean you will not get better with non surgery treatments. They are just predictors that a surgeon may look at. These type of results show just how complicated the decision can be to get surgery. The best thing to do is have enough information with you to make an informed decision between you and your surgeon.